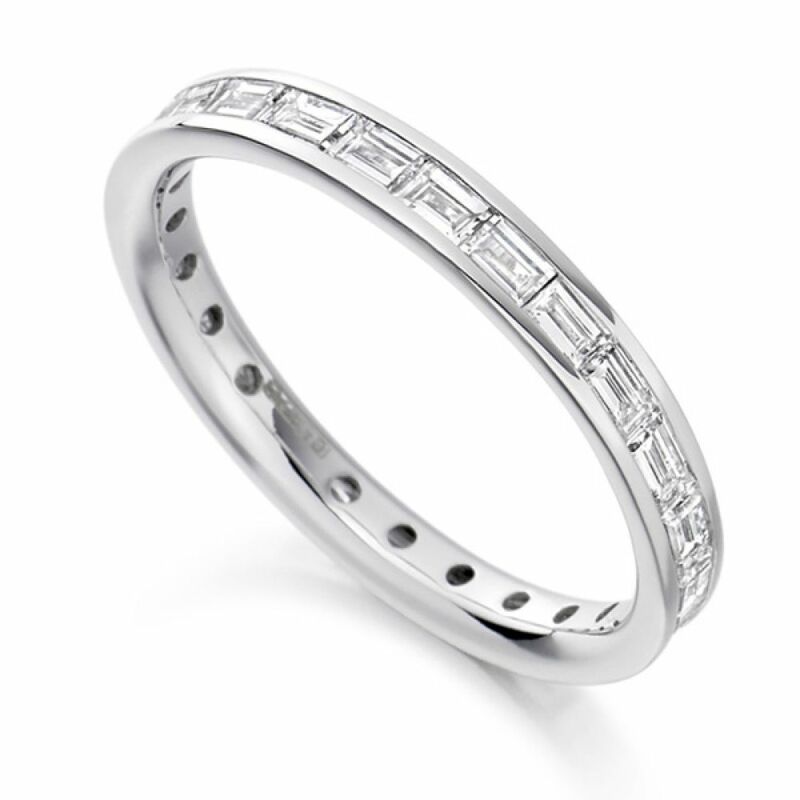 A full channel set baguette cut diamond eternity ring, with diamonds elegantly set lengthways around the ring. 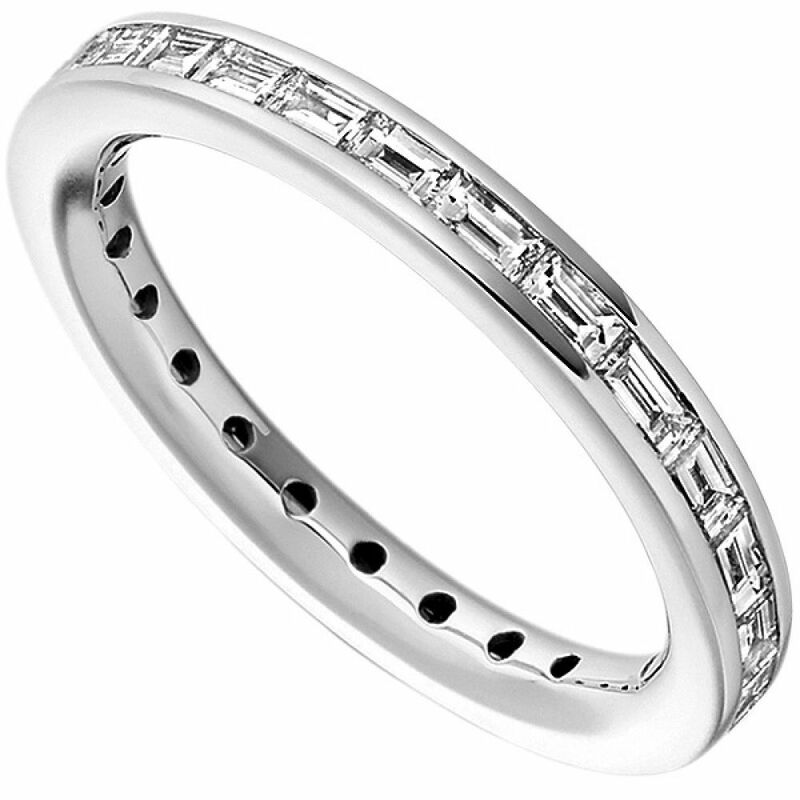 Majestic Baguette cut Diamonds channel set into a full band Eternity Ring. This eye-catching ring design is set with a total of 1.25 carats of Diamonds which have been graded F Colour and VS1 Clarity prior to setting. The band benefits from a comfortable court profile, measuring 2.7mm in width. It is available in a choice of 18 Carat white, Rose or Yellow Gold, 950 Palladium and 950 Platinum. This captivating Eternity Ring will arrive beautifully presented, ready for that special occasion. Please allow 4 weeks for delivery as this design is expertly crafted to order.